The South Asian culture is full of amazing rituals that have been passed down through the generations. Those include rich traditions, cultural stories, and let’s not forget beauty hacks! Today, the Indian kitchen can be considered a haven for all things natural. You’ll find organic spices, herbs and other ingredients that double as beauty products. We all know some of the classics: from coconut water for glowing skin to rice steam as a pore opener. 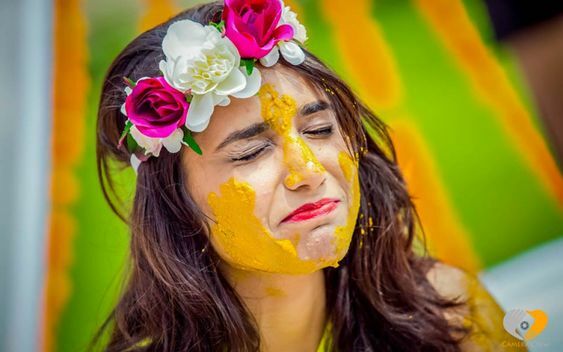 But in this post, we’ll be covering 4 of the best-kept Indian beauty hacks that you’ll be glad you knew about – whether that’s after the first try or four years into your newly adopted beauty ritual. Turmeric is undoubtedly one of the holy-grails of ingredients in the Indian culture. 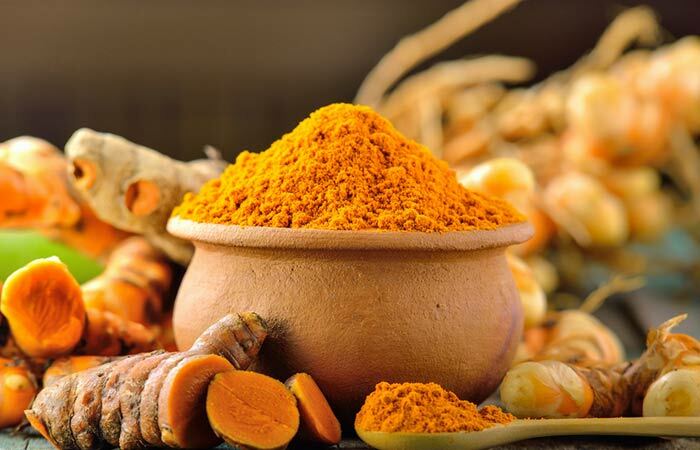 Home-made turmeric face masks are helpful in treating various skin conditions; from dark spots to pigmentation and all the way to cracked heels. And when you mix turmeric with gram flour (besan), what you get is an incredible scrub that removes dead cells and gives a fresh glow to the skin. Mix the two ingredients in equal portions, and store it in a bottle or jar until needed. 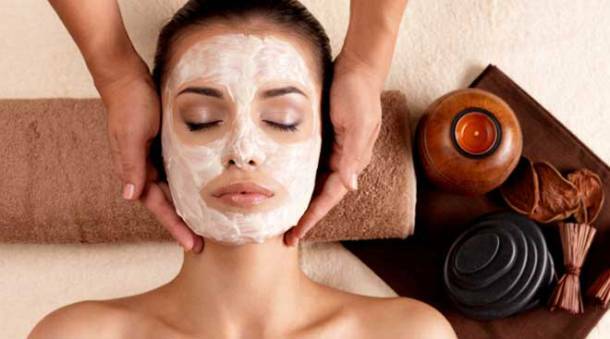 When you’re ready for your salon-worthy facial, add two tablespoons of lime juice. Apply to the face evenly and let it dry. Then, after 10-15 minutes, rub in a circular motion for a few minutes (to get the blood flowing), and wash it with water. Do this two times a week to get a glowing, bright complexion. 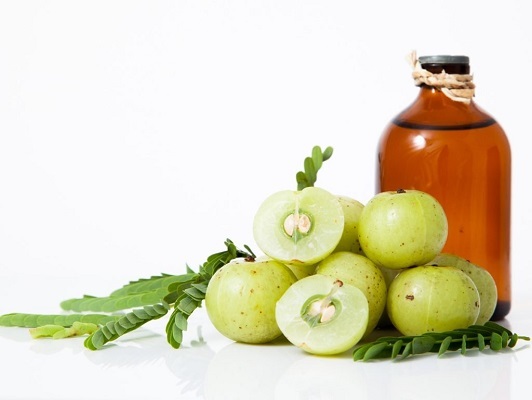 Amla oil is a well-known ingredient in Ayurvedic medicine (one of the oldest medical systems, originating in the Indian subcontinent). Amla oil contains many fatty essential acids, which strengthens the hair follicles and conditions the hair like no other. And, because of its potency, it can also help treat dry, itchy scalps. After shampooing the hair, use Amla oil instead of your usual conditioning product. Massage the oil into the strands so that it completely covers your hair (from the roots to the tips). Cover your hair with a shower cap for 10-15 minutes, and then thoroughly rinse the hair with warm water. Do this twice or thrice a week, and you’ll surely notice a newfound shine and strength to your hair. In the old days, the people in India did not use the toothbrushes you see today, they instead used Neem sticks to brush their teeth. In fact, chewing on Neem twigs has for centuries been a commonly preferred way to avoid gum diseases and maintain healthy teeth. Despite being entirely unaware of Colgate or Crest, rural populations in India had considerably healthy teeth- and a large part of that can be accredited to Neem. But hey, you don’t have to skip the toothbrush altogether to get the natural product’s benefits. Today, you can find a pretty decent selection of all natural kinds of toothpaste that contain Neem right in them. It’s the perfect way of balancing traditional health solutions with modern day living. Sandalwood is another ingredient that’s proven to be indispensable from Indian culture. Many have used Sandalwood powder (aka ‘Chandan’) to obtain bright, healthy and radiant skin for centuries. Sandalwood powder works wonders to reduce and remove dark under-eye circles, puffiness, and bags. Combine a touch of Sandalwood powder with rosewater to create a paste and then apply a small amount to the skin under the eyes (by gently patting it on). Leave the organic treatment on for a few hours at night, or overnight for best results. Then, when you’re ready just go ahead and rinse it off lightly and thoroughly with cold water. Go ahead and run these by your Mum/ Nani or Massis. We’re sure they’ll love telling you their own stories of how they incorporated these products into their own beauty regimes. And best yet, look at how beautiful they are! We can all definitely take a page from their all- natural beauty books.